This book is the result of the second NATO Advanced Study Institute on speech processing held at the Chateau de Bonas, France, from June 29th to July 10th, 1981. This Institute provided a high-level coverage of the fields of speech transmission, recognition and understanding, which constitute important areas where research activity has re- cently been associated with actual industrial developments. This book will therefore include both fundamental and applied topics. Ten survey papers by some of the best specialists in the field are included. They give an up-to-date presentation of several important problems in automatic speech processing. 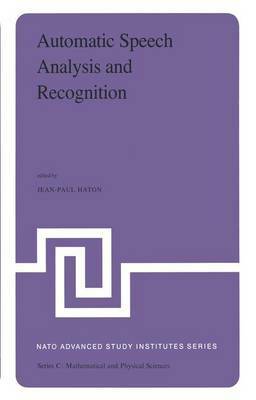 As a consequence the book can be considered as a reference manual on some important areas of automatic speech processing. The surveys are indicated by 'a * in the table of contents. This book also contains research papers corresponding to original works, which were presented during the panel sessions of the Institute. For the sake of clarity the book has been divided into five sections : 1. Speech Analysis and Transmission: An emphasis has been laid on the techniques of linear prediction (LPC), and the problems involved in the transmission of speech at various bit rates are addressed in details. 2. Acoustics and Phonetics : One'of the major bottleneck in the development of speech recogni- tion systems remains the transcription of the continuous speech wave into some discrete strings or lattices of phonetic symbols. Two survey papers discuss this problem from different points of view and several practical systems are also described.